This is a longer version of the author’s article on the same subject published as POLICYWATCH #642, July 30, 2002 by THE WASHINGTON INSTITUTE for Near East Policy. Ely Karmon is the Shari and Herb Rosen visiting fellow at The Washington Institute. Recently, intelligence services in the U.S., Israel and European countries have expressed concern over potential cooperation between surviving al-Qaida terrorists and Hizballah’s extensive worldwide infrastructure. The flight of al-Qaida militants from Afghanistan and Pakistan to Lebanon has become a hot topic in the media. In January, U.S. Secretary of Defense Donald Rumsfeld claimed that Iran, Hizballah’s sponsor, helped al-Qaida and Taliban members to escape from Afghanistan through its territory. The London daily The Times reported on February 1 that a senior al-Qaeda operative had discussed the relocation of these people in Lebanon with Hizballah leaders. Meanwhile, the Israeli minister of defense, Benyamin Ben Eliezer, confirmed that fleeing militants had entered Lebanon and joined Hizballah. The Washington Post, quoting U.S. and European intelligence officials, reported on June 30 that the new ad-hoc tactical “terror alliance” involves logistical and training cooperation between mid-level operatives. However, this kind of cooperation is quite possible. Particularly when past links between al-Qaeda and Hizballah leaders in Sudan are taken into account, not to mention the training provided to thousands of Arab and Muslim terrorists in Sudanese camps at the beginning of the 1990’s. In the past, Hizballah provided training in its camps in Lebanon to militants of the Egyptian Jihad and the Algerian GIA (Groupe Islamique Arme), two terrorist organizations which provided some of al-Qaida’s best operatives. Moreover, Fadlallah called in March 2002 “upon the Muslim Religious Scholars to consolidate Muslim unity among the two major sects of Sunni and Shiite... [to] transform the political and jihad unifying positions into cultural and ideological meeting places… and concentrate on the common issues that have to do with Muslims fate, especially that the arrogant powers have put both Muslim sects of Sunni and Shiite in the same category as being part of ‘the axis of evil’”. Against this background it is of interest to analyze Hizballah’s political and strategic approach to the “War on Terror” since the attacks of September 11. On the day of the attacks in the United States, a cautious Fadlallah declared that “no religion justifies such action,” and later claimed that the suicide terrorists did not die in a holy jihad war. However, he declared that it is the American policies that were responsible for the attacks. “They’ve created an atmosphere of hatred towards Muslims because they need to search for a victim, any victim,” he said. In the first weeks after 9/11 Hizballah’s leaders appeared reassured by the U.S. policy regarding the organization. The Bush administration, eager to find any allies in its fight against al-Qaida and the Taliban, even courted Iran and Syria, in spite of their presence on the State Department’s list of countries supporting terrorism. It was leaked that the newly-appointed U.S. Ambassador Vincent Battle gave “a good certificate to Nasrallah.” The U.S. reportedly proposed to acknowledge Hizballah’s social and political role and “forget” the past “attacks on American citizens, soldiers and interests…if the party confines its activity to domestic work… stop attacks in Shab’a farms, and stop its support for the Palestinian intifadah.” It was even claimed that U.S. representatives asked to meet Hizballah leaders, but were refused. Hizballah’s self-assurance is based on the firm commitment of the Lebanese government to its stand and the active support of Syria and Iran. Even the Arab League Secretary General, Amr Moussa, declared that the American stand on Hizballah is not binding on any Arab country. The Lebanese government has denied that Hizballah’s influence extends beyond Lebanese territory, and told the Americans and the worried Secretary-General of the U.N., Kofi Anan, that the organization is merely a local political party whose goals are resistance against the Israeli occupation of the Shab’a farms. The government refused to freeze Hizballah’s financial assets in Lebanon. “Lebanon doesn’t put pressure on us, it tries to defend us,” boasted Nasrallah. Nasrallah praised Syria’s steadfastness and declared that Syria is still “safe haven to jihad…the geographical and political refuge adopting the resistance movements in the region”, in spite of all the pressures on her from the U.S., the West and Israel. “It must not be allowed that Syria stands alone in the Arab world,” he warned. Iran continues to see in Hizballah its primary ally in the Middle East, and the proxy which could help derail any peace process between Israel and the Palestinians and keep the tension high in the region. The flow of arms to the organization continues, as well as financial support of $10 million per month. It is interesting to note that during the Hizballah attacks against Israel from South Lebanon in April 2002, the Iranian foreign ministry Kamal Kharazi visited Beirut in what seemed an attempt by the moderate Khatami administration to calm the situation. He was quoted as saying that it was important to show restraint in the face of what he claimed was Israel’s desire to spread the conflict to other fronts. As though in response, the very next day Hizballah carried out a major attack on Israeli positions, seemingly with the support of the Iranian Supreme leader Khameme’i and Iran’s Revolutionary Guards Corps in Lebanon. On the strategic level, Hizballah sees its active involvement in the Palestinian intifadah as part of the inevitable fight against the imperialist threat represented by the United States. The organization attempts to insure the Palestinians a similar victory to that of the Islamic Resistance after Israel’s unilateral withdrawal form South Lebanon in May 2000. In his weekly sermons, Sheikh Fadlallah, tries to convince the Palestinians to continue their “martyrdom operations” and not to yield to “American pressures”, as “all these massacres” are the responsibility of the U.S. Administration. 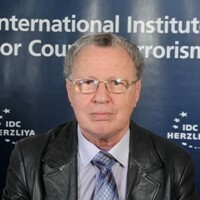 Israel’s struggle against Palestinian terrorism and its policy versus Syria and Iran are consistently presented by Hizballah as an American conspiracy to subdue the Arab and Muslim countries and peoples. Thus, Hizballah must continue the fight “to assume [its] responsibilities…and never let the Palestinians to fight alone.”] Nasrallah presented the war against Israel also as support to Syria in its effort to regain the Golan Heights. Hizballah’s present strategy fits in with its original ideological vision: the Islamization of Lebanon is not possible in the framework of the balance of forces between the various religious communities, and the clear Syrian interest to keep its grip on the country. Therefore the historic goal will be achieved, by necessity, through armed struggle “for the liberation of all the occupied Palestine and the Holy City of Jerusalem.” Hussein al-Musawi, one of the organization’s leaders said as far back as the end of the 1980’s that “Hizballah’s victory in Lebanon depends upon more struggles and confrontations with American imperialism and Zionism…[a]nd a prerequisite for establishing an Islamic government in Beirut is victory over the Zionist regime.” Nasrallah sees in the New World Order a great danger for the Islamic umma. This danger is even greater since September 11, because the American-Zionist “arrogance” has become oppressive and wants to dominate the Arab and Islamic area. It seems that by the end of November 2001, Hizballah leadership, in coordination with Syria and Iran, had decided to continue to confront Israel by actively supporting the Palestinian intifadah, and to escalate the tension in the region in a move to obstruct further American moves. Several subsequent events point towards this conclusion. The Jerusalem Day, a huge traditional demonstration in Beirut’s southern suburb, one of Khomeini’s legacies, coincided with the visit by U.S. Assistant Secretary of State for Near Eastern Affairs, William Burns. The demonstration was seen as a clear reaction to the growing U.S. accusations and the inclusion of Hizballah in the list of terrorist organizations. The organization stressed its support for the Palestinian intifadah and was eager to send a message to PA Chairman Yasser Arafat that Hizballah “understands the amount of pressure he is coming under”, but is calling on him “not to make mistakes.” In his speech, Nasrallah stressed that “Lebanon is being subjected to a major U.S. intimidation campaign.” According to Beirut’s Al-Nahar Hizballah sees itself only in the framework of the Arab-Israeli conflict and beyond the Blue Line, the Shab’a farms, and the 1923 border, and perhaps beyond the Kafr Shuba hills and does not confine its political and ideological position to the boundaries of the official Lebanese and Syrian positions, which adhere to the United Nations resolutions. The involvement of senior Hizballah operatives in Karin-A affair in January 2002, and the attempt to smuggle Katyusha rockets through Jordan at about the same time, are further signs of Hizballah’s strategy to fuel the Israeli-Palestinian conflict, in order to enhance the tension in the region and thus hinder any U.S. efforts toward a change of regime in Iraq. In the Karin-A smuggling attempt, a huge quantity of weapons and munitions—including 122-millimeter Katyusha rockets with a range of 12 miles and more than two tons of explosives—provided by Iran were loaded onto a ship destined for the Palestinian Authority. Nasrallah proudly stated that the Palestinians had requested the weapons as support and backing, and Hizballah considered it a religious duty to provide them, as a strategic deterrent against superior Israeli military power. He attacked Jordan’s king Abdallah for arresting those implicated in the smuggling, but denied that Hizballah had bases and networks in Jordan, Egypt, Europe, or elsewhere. The peak of Hizballah’s attempts to destabilize the region and to influence Israel’s operations against Palestinian terrorist suicide attacks occurred in March - April 2002. On March 12, an attack by Hizballah-backed Palestinian infiltrators on civilian vehicles near the Israeli village of Shelomi killed five civilians and one Israel Defense Forces (IDF) soldier. Hizballah conducted a campaign of attacks on IDF positions in the Shab’a farms area from 30 March through 13 April, with UNIFIL recording the firing of a total of 152 anti-tank missiles, 1,246 mortars, 28 katyushas, 11 surface-to-air missiles and hundreds of rounds of small arms fire. It is suspected that Palestinian elements also participated in these coordinated attacks. Examples of Hizballah’s global strategy are numerous, beginning with the United States itself: In July 2000, U.S. federal agents arrested 18 alleged supporters of the Lebanese Hizballah suspected of being part of a ring that raised and sent funds and military equipment (night vision equipment, global positioning devices, mine detection equipment, cellular phones and blasting equipment) to Hizballah in Lebanon. Jurors found two Lebanese brothers guilty on all charges. The group’s leader has been described in an affidavit as “well-connected to Hizballah leaders in Lebanon,” where he received military training. He was also said to be dangerous “because he would likely assist in carrying out any action against United States interests if he were required to do so by Hizballah.” Another similar case was filed in Michigan in 1998, but the man involved fled to Lebanon prior to the filing of the indictment. Sweden’s Sapo intelligence agency has identified 15 people in Sweden who have direct links with the al-Qaida and Hizballah terrorist organizations. They are suspected of assisting the terrorist organizations with information, communications, and financing. In what is known as the “tri-border area” where Argentina, Brazil and Paraguay converge, there is a long-standing presence of Islamic extremist organizations, primarily Hizballah. In February 2000 Paraguayan authorities arrested a Lebanese businessman who had been allegedly selling millions of dollars worth of pirated software and funneling the proceeds to Hizballah. Weeks after his arrest, however, he was released on bail and fled. Investigations continued against the activities of Assad Ahmad Barakat, the alleged ringleader of Hizballah’s financial network in the Triple Frontier. After September 11, Paraguayan police raided a wholesale electronics store owned by Barakat (who had just been added to the Bush administration’s terrorist list) and uncovered documents as well as videos and literature that “encouraged young men to join Hizballah’s war against Israel and become suicide bombers.” Barakat’s remittances to Hizballah are believed to have totaled up to $50 million dollars since 1995.” Since the September 11 attacks, the Chilean authorities have also investigated Hizballah fundraising in the Triple Frontier. Two businesses owned by Barakat and another man, registered as legitimate import and export businesses, were found to be fronts for money laundering. Seven Lebanese citizens were arrested in connection with this affair on charges of illegally financing a terrorist group. The networks that launder money from drug trafficking and contraband in Colombia have been used by Hizballah cells based in Maicao, the trade capital of La Guajira Department, to mask money that was later used to finance terrorist operations worldwide. Two clans are being investigated for running a network in which gun running and drug trafficking operations, as well as bank checks for huge amounts of money meant for Islamic fundamentalist groups, especially the Party of God, are meshed together. Singapore’s security service recently revealed that Hizballah had plotted to bomb American and Israeli ships at dock in Singapore. Its operatives had recruited five Singaporean Muslims in the 1990’s, who were to assist with surveillance and logistics. The five reportedly were selected from a group attending Muslim religious classes, and later met with Ustaz Bandei, a radical Islamic preacher, wanted by Indonesian authorities for the 1985 bombing of the Borobudur temple in Indonesia. The cell—comprised of Ustaz Bandei and three others—was still active as late as 1998, and continued to conduct surveillance of possible targets. By July, Fadlallah was asking his followers to get ready for “the regional challenges”. He accused the U.S. of fostering instability in Afghanistan which led to the death of many innocent people and of thwarting any attempt to re-stabilize the country. He warned of Israeli threats to Syria, Lebanon and other Islamic and Arab countries, especially Iran. “The latest of these threats was that of the new Zionist Army commander who called his troops to prepare for a wide war. This means that the leaders of the region should prepare for this war too…” According to Fadlallah, “the coming stage is going to be full of challenges and it will witness many political and military changes, especially with the American plots for Iraq.” His conclusion is that “America is at a war against the world in the name of fighting terrorism [and]…seeks to Americanize the Arab and Islamic worlds, to loot its resources and markets… even when it threatens Iraq, it wants to take it over and destroy its people, before destroying its regime.” Thus he calls on the Iraqi opposition to study the American project since it aims to weaken Iraq as a potential enemy for Israel. Hizballah’s leaders appear to feel that the strategic alliance they have forged since the early 1980’s with Iran and Syria, and the very existence of these regimes and their proxy organization in the aftermath of the expected U.S. campaign against the Saddam Hussein dictatorship, are in serious danger (see in Annex Fadlallah’s latest evaluation of the situation). It is possible that they have devised a strategy based on the highly symbolic and volatile Palestinian-Israeli conflict in order to hamper any American, Western or international effort to continue the war against terrorist organizations and rogue regimes. The aim of such a strategy would be to sabotage any future campaign against Iraq, one of the main pillars of this anti-democratic camp. They may also attempt to open a coordinated “second front” against Israel from southern Lebanon, parallel to the opening of the campaign against Iraq, in the hope that the Arab and Islamic peoples will follow them and will press thleaders to become involved in a regional conflict against U.S. and Israel. The Hizballah, armed to the twith the active support of Syria and Iran, has the means to implement this scenario. In addition, Hizballah already has the military means, the enhanced moral and political status in the Arab world and the motivation, as the weakest and therefore the most threatened string in the alliance, to stage a provocative massive terrorist operation, even before any American move against Iraq. Such an attack could drag Syria—unwillingly—and subsequently the other Arab states, into a destructive regional war with Israel. Nasrallah recently declared that when the right moment comes, Hizballah will use all the resources at its disposal: “all the bullets in its possession, until the last one” in far-reaching battle. It is therefore of utmost importance to closely monitor Hizballah’s operational and military behavior, as well as its leaders’ declarations, which seem intended to prepare the Lebanese and Arab peoples for a future conflict. The Western powers must not be mislead by the wishful voices that hope for the “politicization” of the movement in the Lebanese internal arena. Such hopes have been dashed time after time in the past decade; it is unlikely that the next few months will offer any change. The Palestinians are still able to inject the Nation’s veins with the spirit of giving. We do not agree with those who believe that the nation has grown weaker and that its ability to resist has become fragile. But this does not mean that the stage we are going through is not one of the most dangerous stages, and that the international balance of force has not had its impact on the Nation and its causes. The Nation has lost much of its strength, enabling the American- Israeli front to prepare for a new offensive that threatens the Nation in many fields. Nevertheless, we also believe that the nation is still capable of changing the present stage of pressure and siege into a better one, for the Nation still possesses the resources and the forces that made her produce a resistance that fought the occupier in Lebanon and forced it to withdraw unconditionally. It also produced a state of Jihad and popular resistance in Palestine that is almost unique among the revolutions against occupation in history. This Intifada was able to impose itself on the world and to bring back the Palestinian cause to the forefront, in spite of the world war it confronted and is still confronting. Thus, while we believe that there are many elements and circumstances that reflect a state of weakness, tempting the enemies to continue their aggression to plunder the Nation’s wealth, we also believe that there are many elements and forces of confrontation and resistance that could undermine any project and rebel against any attempt of subjection. We are not saying that there are not international arrogant, and particularly American plots to embark on a new direct invasion against the Nation starting by Iraq, but we believe that it is not as easy at it seems. Because there are many factors that might reshuffle the cards, and enable new states of resistance to be born. Such fronts may not be noticed now by the arrogant powers, because they are currently hidden, although continuous oppression will bring life to them anew. The Palestinians are still able to inject the nation’s veins with the spirit of giving. But the active forces in the Nation should react with this people and start to act politically and militantly, to circumvent any project or plot. It is not important what plots they prepare, what is really important is the ability to circumvent and undermine them, The Nation still has a lot of potentials even though some might not be able to activate them. 1. See Fadlallah’s interview to the Lebanese Ad-Diyar as cited by AP, July 7, 2002. 2. Most of Fadlallah’s citations in this article are taken form his personal website, www.bayynat.org, if not otherwise stated. The website includes two kinds of political/strategic statements: those contained in the Second Sermon of his Friday’s Speeches (the First Sermon is always on a purely religious background) and the almost weekly section Our Stand, which seems to represent the views of Fadlallah as the spiritual leader of Hizballah. See “Our Stand,” 26 March 2002. 3. See Terry Friel, “War on Terrorism or War on Islam?” Reuters, Jakarta, Sept 26, 2001. 4. See London Press Association,16 Sep. 2001. 5. See Beirut Al-Nahar, 8 Nov. and 13 and 27 Dec. 2002. See also Al-Safir, 14 Nov. and 3 Dec. 2002. 6. See Tehran Jomhuri-ye-Eslami, 31 Dec. 2002. 7. See Al-Safir, 14 Nov. 2002. 8. Ibid., 27 Nov. 2001. 9. Ibid., 24 Sep 2001. 10. Ibid., 18 Oct 2001. 11. See Cairo MENA, 21 Nov. 2001. 13. Interview to Madrid El Mundo, 18 Dec. 2001. 14. See Al-Safir, 16 Oct. 2001. 15. Ibid., 16 Oct. and 14 Nov 2001. 16. See interview to Syrian TV, 9 June 2002. 17. See Al-Nahar, 27 Dec. 2001. 18. See London Al-Majallah, 24-30 March 2002. 19. See Jim Muir, “Focus on Palestine,” Middle East International, 19 April 2002. 20. See for instance Our Stand, 4 Dec. 2001. 21. Nasrallah in El Mundo, 18 Dec. 2001. 22. See Al-Nahar, 24 Dec. 2001. 23. Cited in Martin Kramer, “Hezbollah’s Vision of the West,” The Washington Institute Policy Papers, No. 16. 24. Nasrallah in an interview to the Syrian TV, 9 June 2002. 25. See Qassem Qassir’s article in the Lebanese Mustakbal, as quoted by Fadlallah’s website, www.bayynat.org (no date)..
27. Ibid., 15 Dec 2001. 28. See London Al-Majallah, March 2002. 29. See Report of the Secretary-General on the United Nations Interim Force in Lebanon for the period 17 Jan. 2002 to 12 July 2002 at http://www.un.org/Docs/sc/reports/2002/746e.pdf. 30. Interview in London Al-Majallah, 24-30 March 2002. 31. See “Our Stand,” 16 Apr. 2002. 32. See Copenhagen Politiken, 13 Oct 2001. 33. 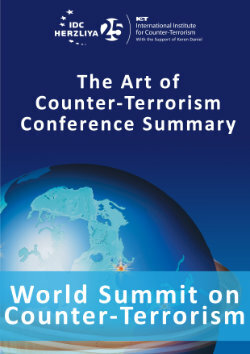 See The testimony of Ambassador Francis Taylor before Congress, on The Presence of International Terrorist Groups in the Western Hemisphere, 10 Oct. 2001 at http://www.state.gov/s/ct/rls/rm/2001/ 5674.htm. 34. See Blanca Madani, “Hezbollah’s Global Finance Network: The Triple Frontier”, Middle East Intelligence Bulletin, Vol. 4 No. 1, January 2002 at http://www.meib.org/articles/0201_l2.htm. 35. See Bogota El Espectador , 9 Dec 2001. 36. See info at ICT website, http://www.ict.org.il/spotlight/det.cfm?id=790. 37. See Al-Majallah, 24-30 March 2002. 38. See Daily Star, 1 June 2002. 39. See “Our Stand”, 4 June 2002. 40. See Fadlallah’s Friday speech July 12, 2002. 41. See Fadlallah’s Friday speech, July 19, 2002. 42. See interview to MBC, 12 July 2002.